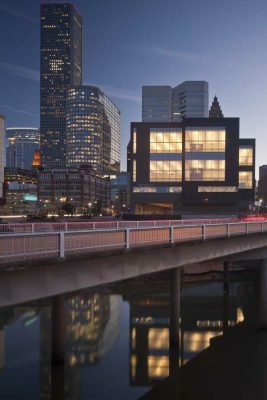 HOUSTON – Today marks the first day of rehearsals in the new Houston Ballet Center for Dance, now the largest professional dance facility in the United States and a visual statement of the city’s longstanding commitment to philanthropy and the performing arts. 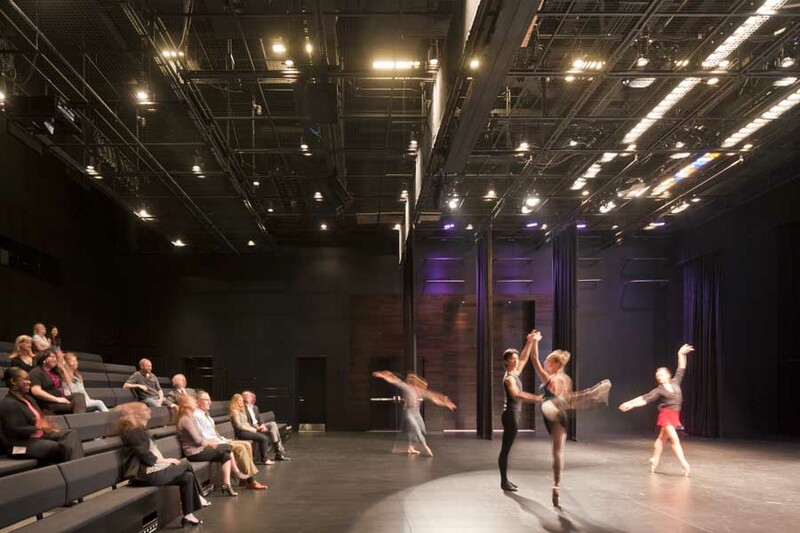 Creating a new gateway to a downtown Theater District that is already home to the Houston Grand Opera, Houston Symphony and Alley Theatre, the prominent, six-story, 115,000-square-foot facility boasts nine dance studios, a dance lab, and artistic, administrative and support facilities for Houston Ballet and its academy. 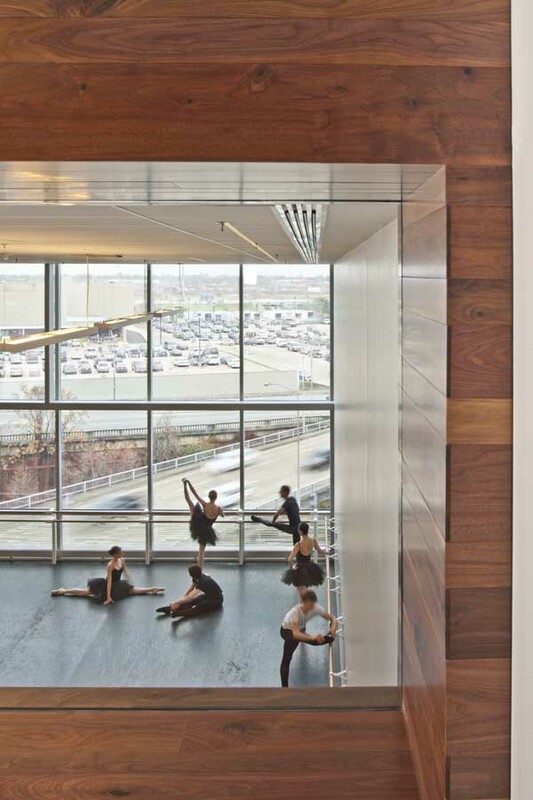 The public is invited to attend the grand opening of the Houston Ballet Center for Dance on Saturday, April 9, at noon, with a ribbon cutting ceremony presided over by Houston Mayor Annise Parker and free performances by Houston Ballet II. 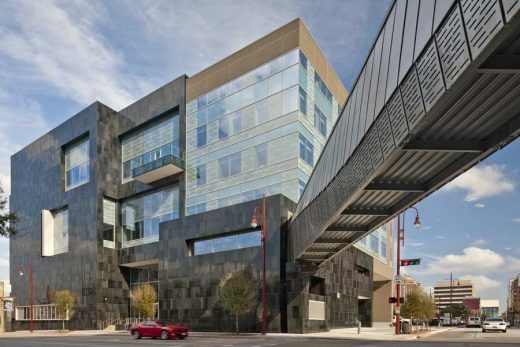 With its striking black granite façade featuring views to dancers within, the new Center for Dance will enable Houston Ballet’s education programs to reach an estimated 30,000 students by 2015. Currently, the River Oaks-based academy provides instruction for 375 dancers and an education and outreach program that annually brings dance alive for approximately 19,000 Houston-area students. Working with general contractor W.S. Bellows, Gensler and Houston Ballet carefully orchestrated a tight construction budget and completed the project for $46.6 million — $6.4 million under its original projected budget of $53 million — and opened the facility ahead of schedule. “We are very excited that Houston’s donor community has helped us to raise $42.3 million in new contributed dollars, which along with the ballet’s existing assets, made the project happen,” said Houston Ballet Managing Director C.C. Conner. 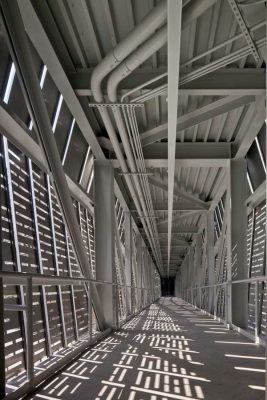 An open-air pedestrian sky bridge, featuring a graphic wave of leaping dancers, connects the new facility to its adjacent performance venue, providing a compelling architectural presence, and a strategic backstage entrance for the dancers. Passersby may even see a glimpse of dancers moving from practice space to performance. Inspired by a proscenium stage, the granite façade frames daytime and illuminated nighttime views of dancers rehearsing within, so that the building becomes an animated billboard for dance. 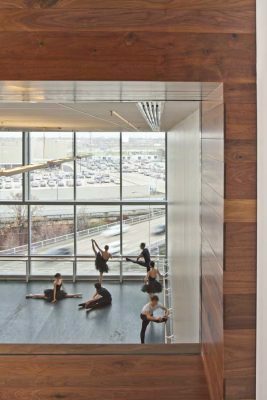 Gensler designers crafted graceful, seemingly effortless interior spaces that place ballet at center stage. The concept behind the interior design is to create a gallery-like space within which dancers become works of art. Contrasted with the dynamic, vibrant dancers, the interiors are quiet, featuring a neutral color palette and a recurrent linear theme. 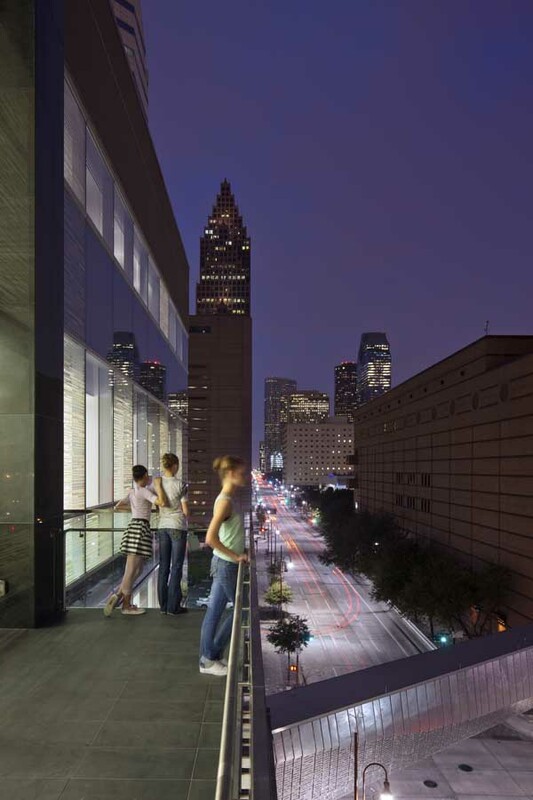 The airy, spacious interior features double-height studios that provide interior views to rehearsing dancers, while maximizing the building’s spectacular exterior views of downtown Houston and Buffalo Bayou. 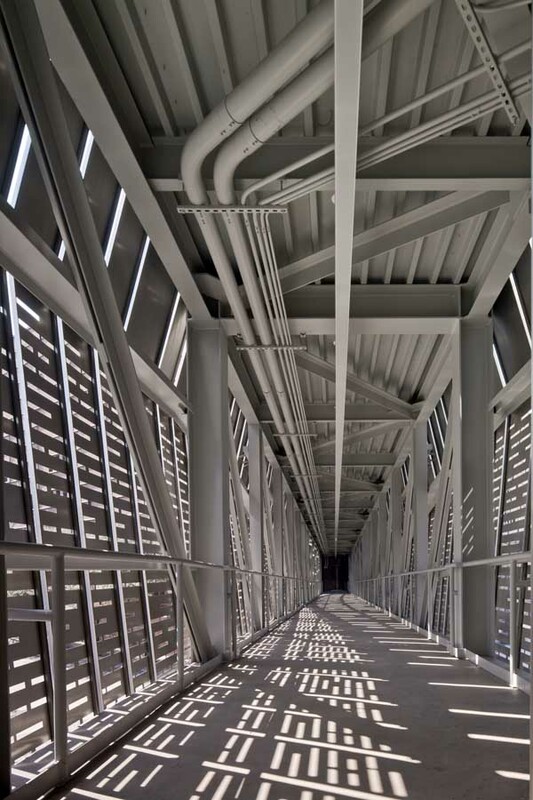 Clear interior sight lines engender a spirit of openness, activity and collaboration. 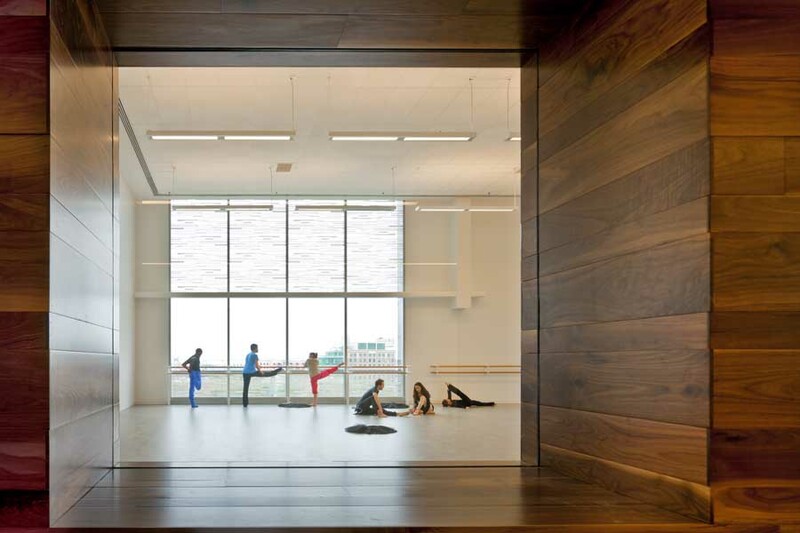 Linear light fixtures appear to dance free-form above the fifth floor Great Room, activating a space that serves to foster collaboration and socialization between professional dancers, students, teachers and administrative staff. 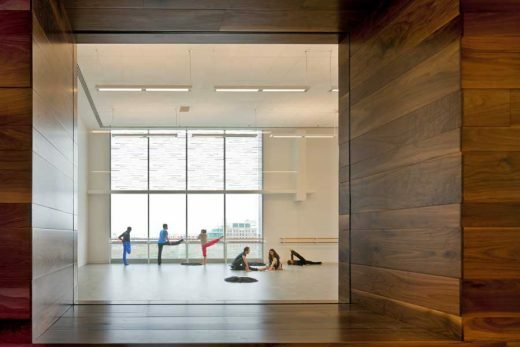 “The Center for Dance gives Houston Ballet a home that is truly an international dance center. The building will be an icon for the art of dance nationally and internationally. And the Center for Dance will further secure Houston’s reputation as a cosmopolitan, sophisticated, international city, with a thriving arts community,” notes Houston Ballet Artistic Director Stanton Welch. Houston Ballet has 54 dancers and an endowment of just over $55 million (as of January 2011), making it the United States fourth largest ballet company by number of dancers. Houston Ballet has toured extensively both nationally and internationally including appearances in London, Moscow, Spain, Montréal, Washington, D.C., and New York. Houston Ballet has emerged as a leader in creating and developing new full-length narrative ballets. Houston Ballet Orchestra consists of 61 professional musicians under the instruction of music director Ermanno Florio. Houston Ballet Academy has reached over 19,000 Houston area students and has had four academy students win prizes at the prestigious international ballet competition the Prix de Lausanne, with one student winning the overall competition in 2010. For more information on Houston Ballet please visit www. houstonballet.org. Gensler is a global design, planning, and strategic consulting firm networked across 35 locations on five continents. Consistently ranked by U.S. and international industry surveys as the leading architecture and interior design firm, Gensler leverages its deep resources and diverse expertise to develop design solutions for industries across the globe. For its longstanding commitment to the advancement of sustainable design, Gensler received the Leadership Award from the U.S. Green Building Council in 2005. For more information, visit our website or blog, follow us on Twitter, or like us on Facebook. 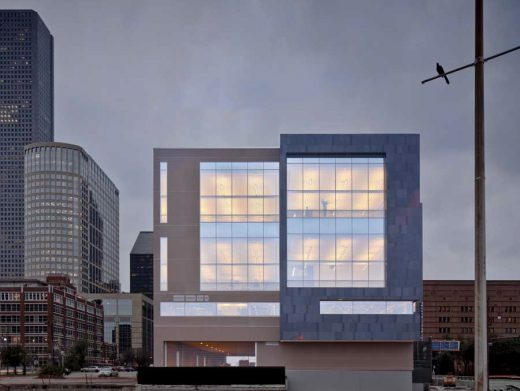 Designed by Marshall Strabala, Director of Design of Gensler, a global architecture and design firm, the Houston Ballet’s new 6-story, 10,219-square meters (110,000-square foot) facility will house practice facilities and executive offices. 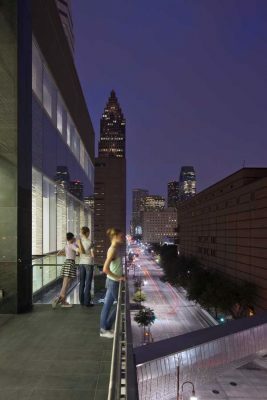 According to the Houston Business Journal (Aug. 4, 2008), the building is planned for Houston’s Central Business District, on Smith between Congress and Preston, and kitty-corner from the Wortham Center, where the Houston Ballet holds performances. 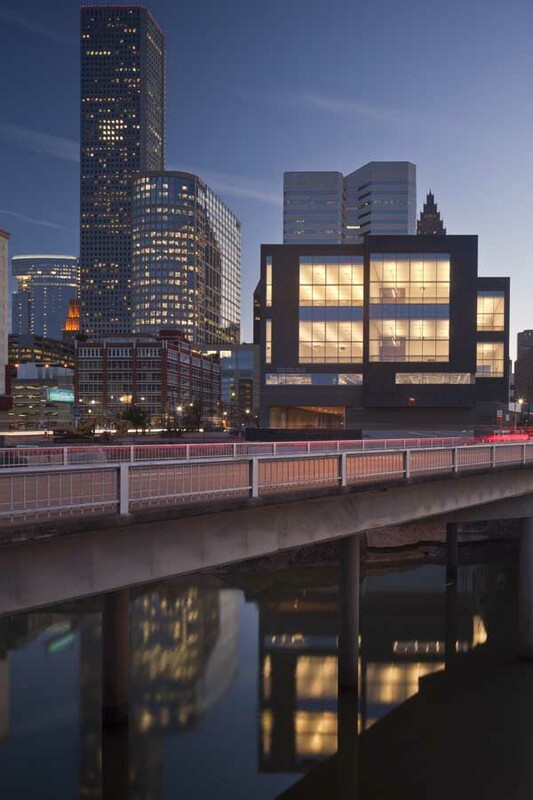 Strabala was based at Gensler’s Houston office.